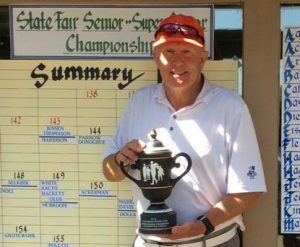 The State Fair Senior and Super Senior championships were held at Mather Golf Course. The interesting thing is both championship winners, Senior and Super Senior, were defending champions from last year. 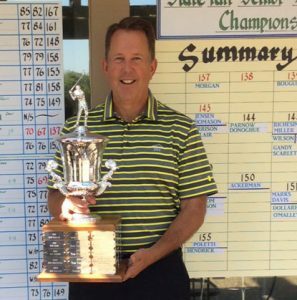 Mark Morgan won the Senior Championship at 137 by just two shots over Dale Bouguennec. In the Super Senior Championship, Bob Thomason and Herb Jensen shot 143. 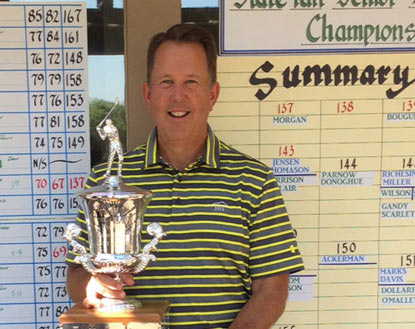 Thomason prevailed in an exciting 4-hole playoff.